During your visit to our website we would like you to know that Unap, Its Advertisers and Affiliates are committed to protecting your privacy. By filling out our Parts Request Form you voluntarily give some personal information to allow the recipient of the Email to be able to fulfill your request and to send you relevant offers from our partners if you selected that option during the request as well. UNAP does not use this information to send spam or unsolicited Email. U Need A Part’s website contains content and systems that are proprietary. You agree not to copy, reproduce, alter, modify, re-publish, create derivative works, or publicly display any content from our website without the prior written permission of U Need A Part, Inc.
U Need A Part reserves the right to choose not to deal with any person, for any reason or without a reason. Without limiting that right, we may immediately issue a warning, temporarily suspend, indefinitely suspend, or immediately or later terminate your right to access our site and refuse to provide our services to you for any reasons we see fit. All purchase agreements are directly between you and the seller of the parts. U Need A Part makes no warranty and has no liability, with respect to those agreements. U Need A Part and our information suppliers provide our website and services at your sole risk, on an “as is”, when available basis, without warranties of any kind. Use our service at your own risk! 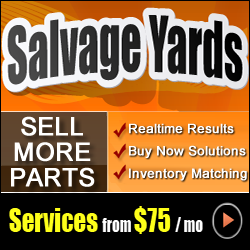 UNAP is only a Parts Locator Service, directing your parts request to our list of dealers. We are in no way responsible for any transactions or disputes of selling or purchasing parts from dealers through our service. UNAP does NOT buy or sell parts, you are dealing with our dealers at your own risk!